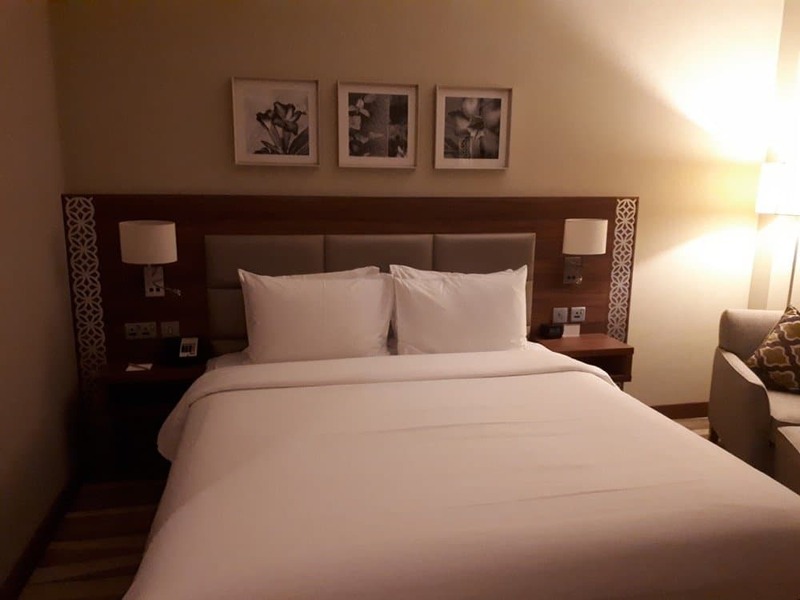 This is a way overdue review of the Hilton Garden Inn Al Muraqabat Dubai hotel which I stayed in back in April when I was speaking at the Arabian Travel Market. I often get asked for budget good hotels in Dubai and I think this is one of them. Since I was in the area literary only for a night sleep I wanted to be close to the airport but also to the World Trade Centre for the event. 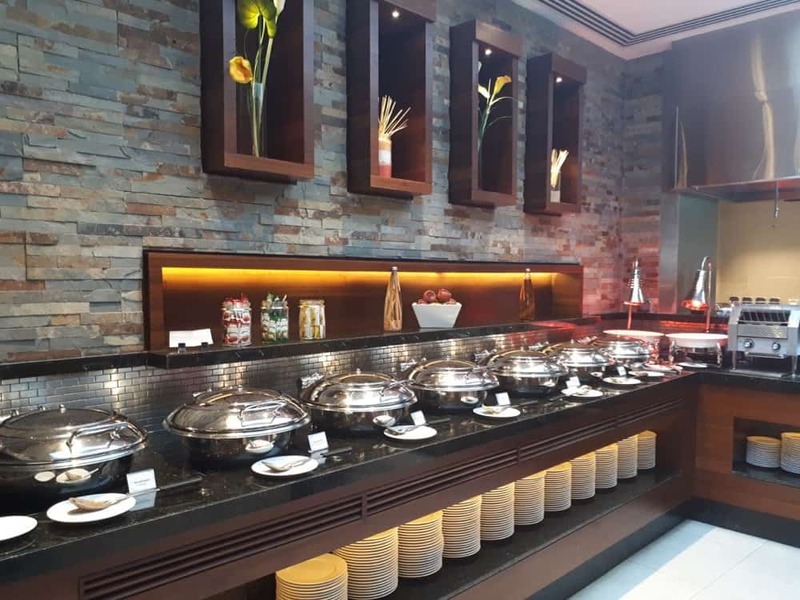 The Hilton Garden Inn Al Muraqabat Dubai is a new Hilton hotel and it ticked all the boxes plus it had good reviews on TripAdvisor. It opened last year, it is within a budget and it includes breakfast free of charge. I find it also a great location in an area I hadn’t stayed before and it was one of the reasons why I chose it. I wanted to explore “the other” side of Dubai not the super polished and glitzy one. I have to say it is in the Deira area, which is the old part of Dubai and while I was walking to my hotel at 9 pm I was thinking it looked scary but in reality, Dubai is a safe place and I wasn’t the only woman walking alone. It has a lot of cheap stores around and even a 24hrs clothing and accessories store opposite. 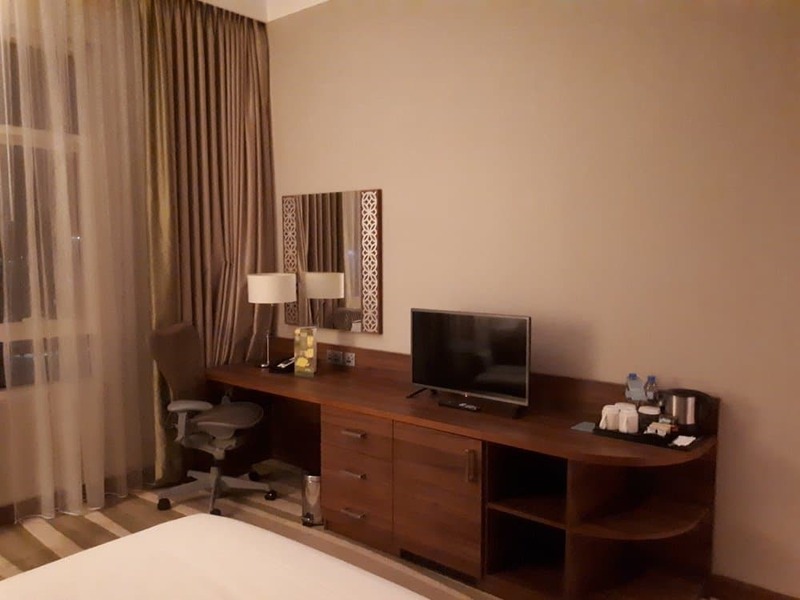 It is close to the metro that connects you to all the places around Dubai and it is super cheap. My check in my prompt and efficient. 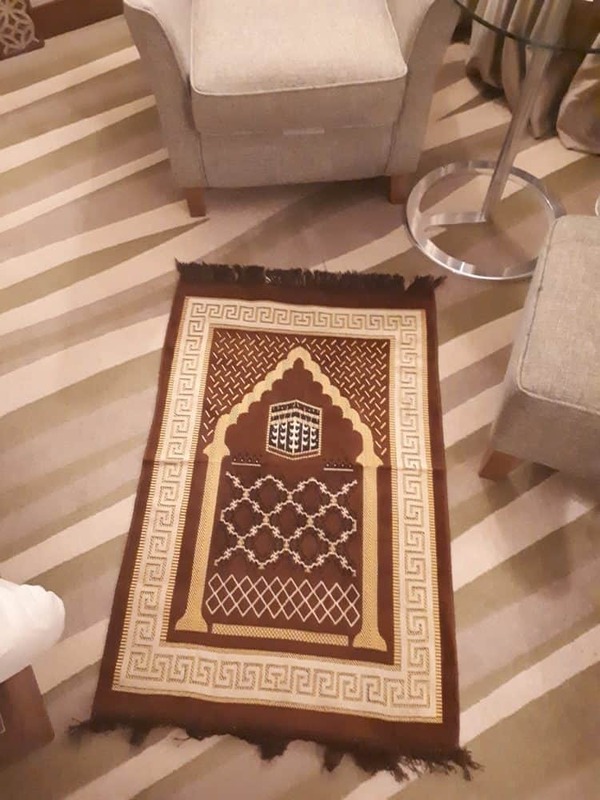 The check in area is small but it is a Garden Inn hotel and I didn’t expect luxury but rather a comfortable night sleep and this Is what I got. My room was small but perfect for a night sleep. It had a double bed and the standard desk. 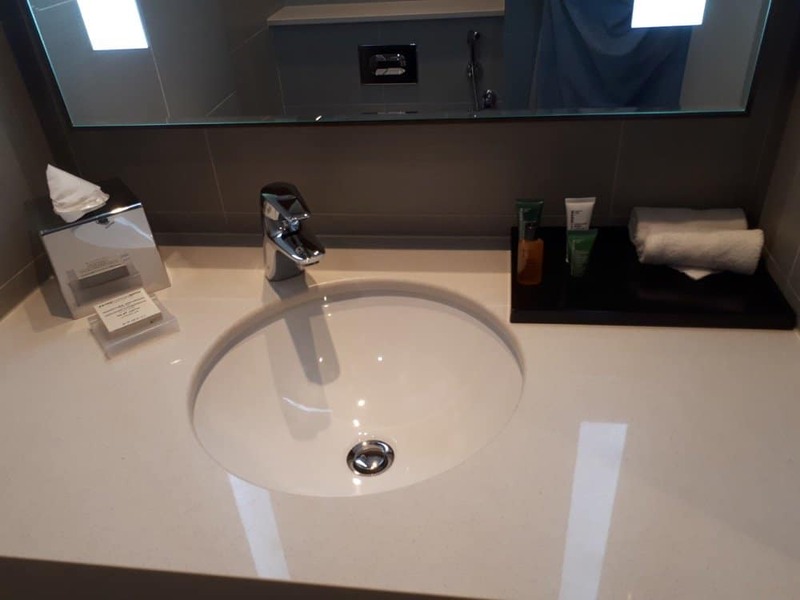 The bathroom was also small but efficient for what you needed and it was new. I really liked the tiles as well. J It also had the standard amenities for any Hilton brand. Even solving issues was prompt as the kettle in my room didn’t work but they swiftly replaced it. The breakfast is served in the restaurant and it did seem busy with tourists around 9 am in the morning. 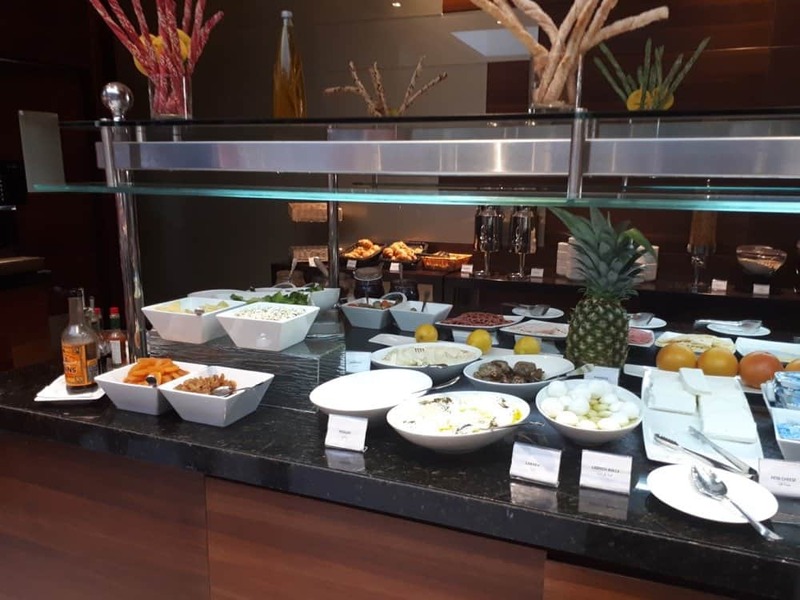 The spread was good, they did eggs from the hot station and omelettes and also you had cold cuts, fruits, cereal and other the other standard options. Overall I think it is a good breakfast for starting your day. Especially for me since I don’t eat much in the morning. I had requested a late check out which they graciously accepted as I really didn’t want to have to carry my hand luggage with me around, so I actually stayed in my room until 5 pm. 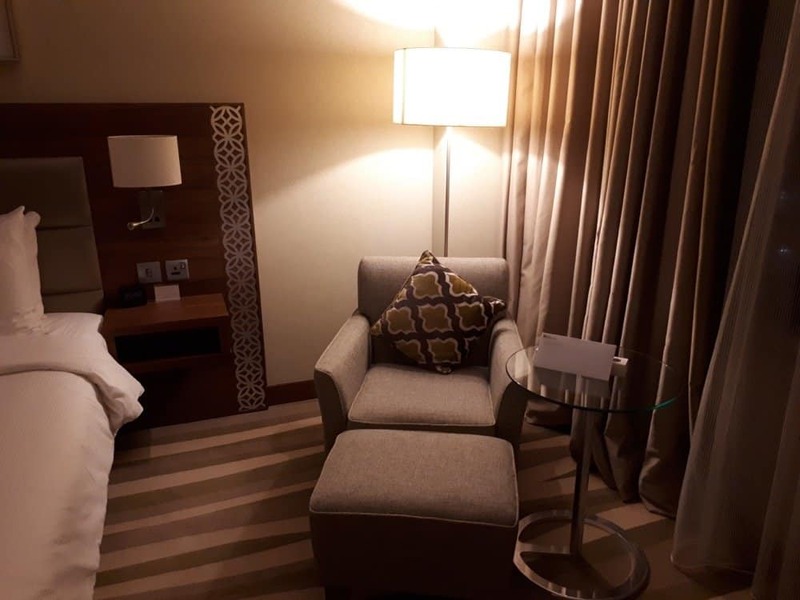 The night in the hotel cost £50 which I think is decent for Dubai, it is close to takeaways, the metro, the cheap shopping areas of the old Dubai but also easy to explore the rest of Dubai. 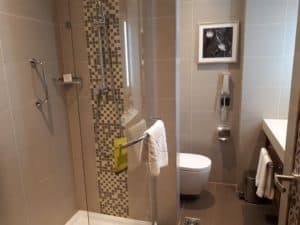 If you are on a budget or you are visiting during peak times I think this property makes sense especially if you will be out exploring most of the time. A nice choice to consider. Great photos!